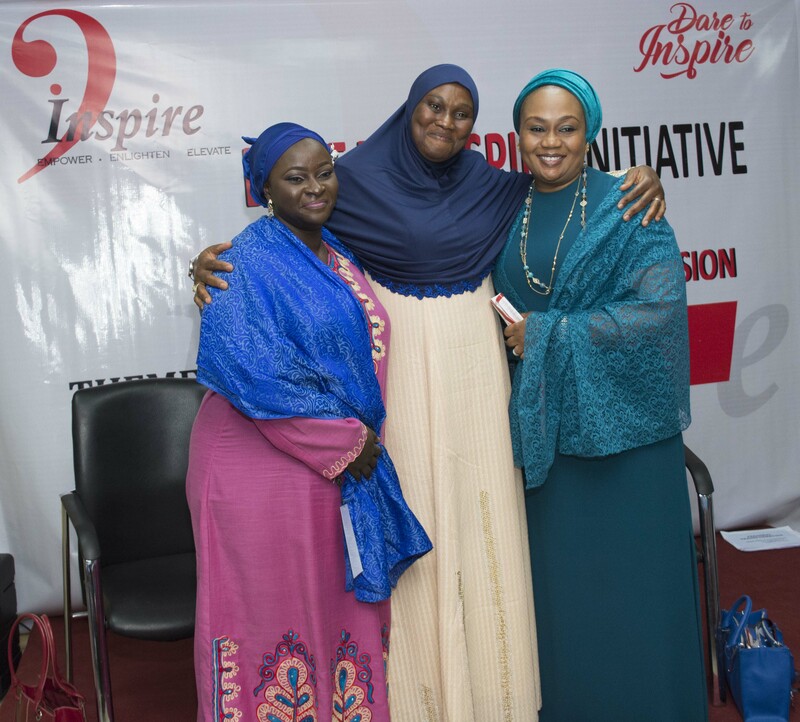 Dare To Inspire (DTI), an initiative set up to empower, enlighten and elevate young (Muslim) women launched its inaugural Mentoring Session on Saturday, June 10, 2017. The theme for the session was “Empowering the Young Muslim Woman”. 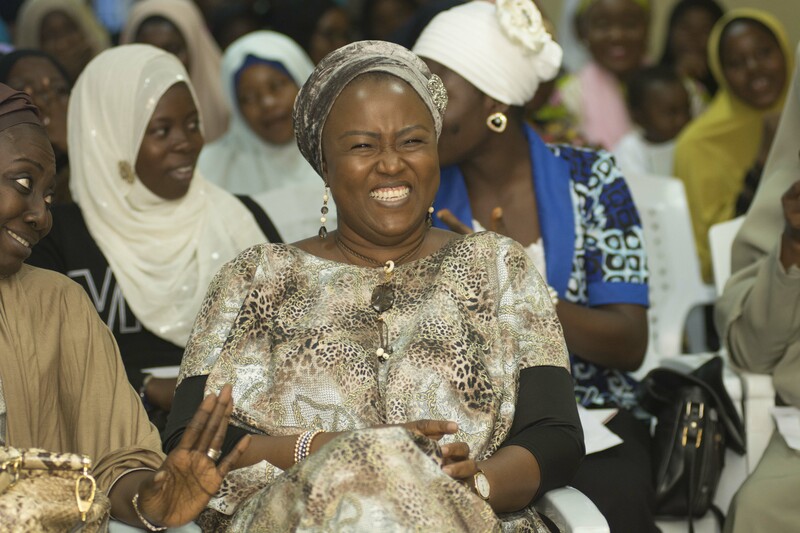 The Session, which was hosted at the Multipurpose Hall, Laroche Leadership Foundation, Gbagada, Lagos was well attended by young women from all walks of life and provided a platform for them to observe, interact with and learn from outstanding established women leaders, experienced business people and leading industry experts. Facilitators and speakers present at the event include Dr. Maymunah Kadiri, Medical Director/Chief Psychiatrist at Pinnacle Medical Service/Founder Pinnacle Health Radio; Biola Bada, Partner and Director of Finance KPMG professional Services; Shareefah Andu, Founder ARABEL Exclusive Islamic Materials Ltd; Feyisola Abiru, CEO, HOME and You Ltd/Veteran Interior Designer at the foremost Interior Design and Furniture Manufacturing Coy; Dr. Fatimah Habeebu-Adeyemi, Obstetrics Gynaecologist at Victoria Island Consultancy Hospital/LUTH and Kafilat Araoye, former General Manager and Group Head, Human Resources at Guaranty Trust Bank plc. 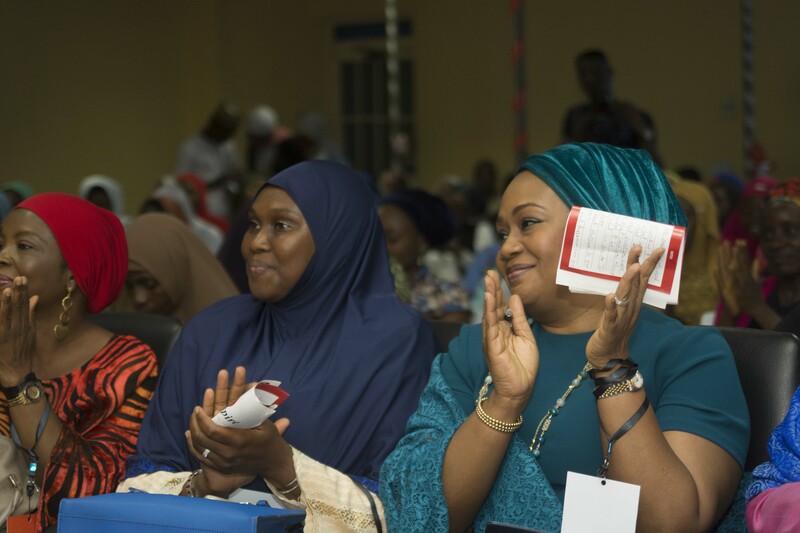 The Convener of the event, Mrs Bunmi Adebimpe, in her welcome address explained the reason for setting up the Initiative, which was to create a platform that will assist young Muslim women to unleash their potentials, break the barriers that have hindered their growth as well as to enhance their skills and competencies and generally to inspire them to develop a positive attitude being the foundation of living a fulfilled and successful life. 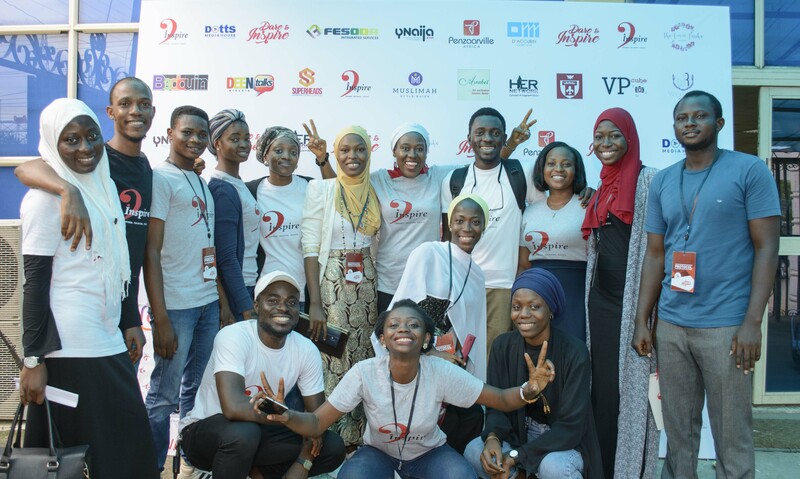 Furthermore, she enjoined the young women to learn from the experiences of the speakers to enrich their lives and rediscover themselves for the limitless opportunities ahead. The introductory speech was delivered by Mrs Shareefah. 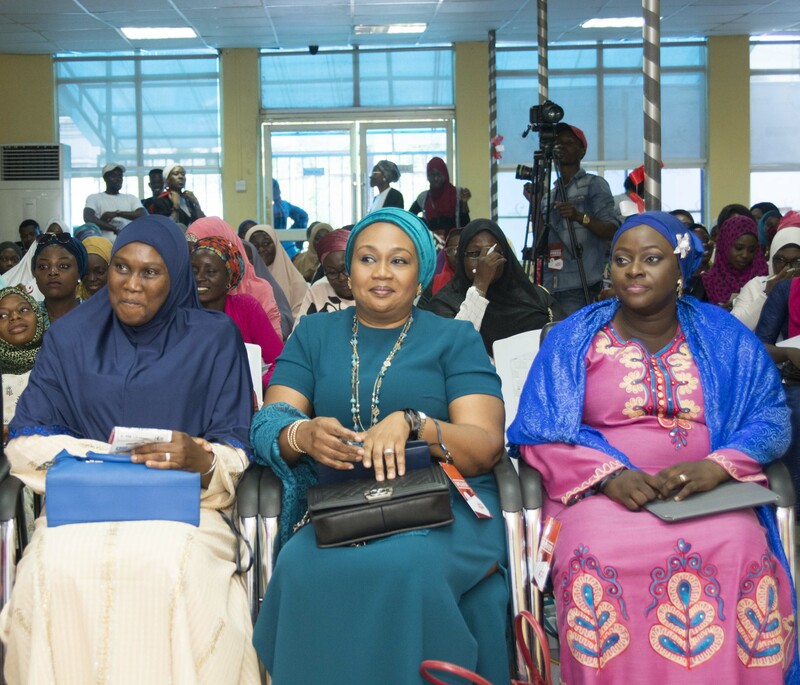 And whilst the first speaker, Ms Biola Bada provided tips on how the participants can better manage their finances including how to determine their true net worth, the next speaker, Dr Memuna Y. Kadiri spoke on how the young women can position themselves to advantage of the emerging opportunities in the Country. The third speaker, Mrs Kafilat Araoye shared useful lessons with the participants on how to build their brand and value as Muslim women. The event also included question and answer sessions, mind games and a three-woman panel discussion to address the topic: Shattering the Stereotypes: How to Find Your Own Voice. 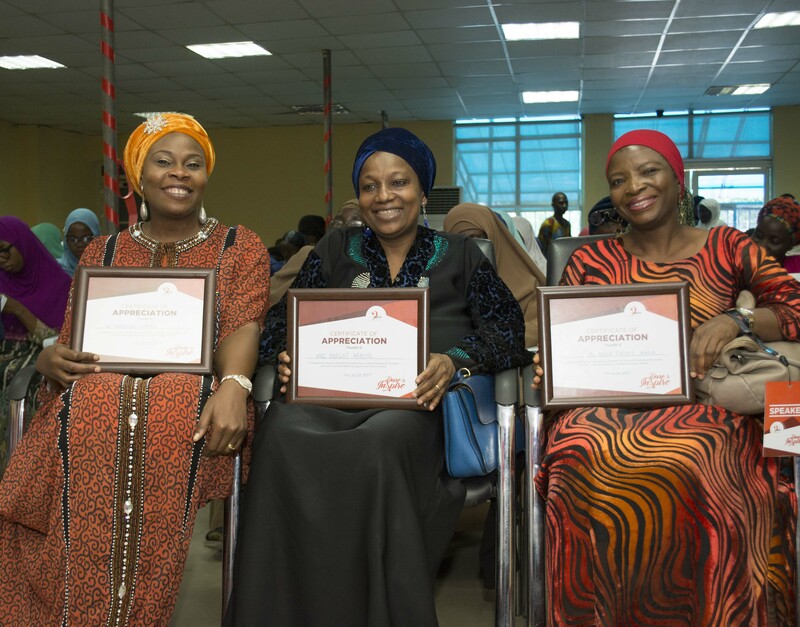 The panelists Dr Fatimah Habeebu-Adeyemi; Mrs Feyisola Abiru and Mrs Bimpe Afolabi advocated for the women to be focused and not feel intimidated or limited by any circumstances they may find themselves in. 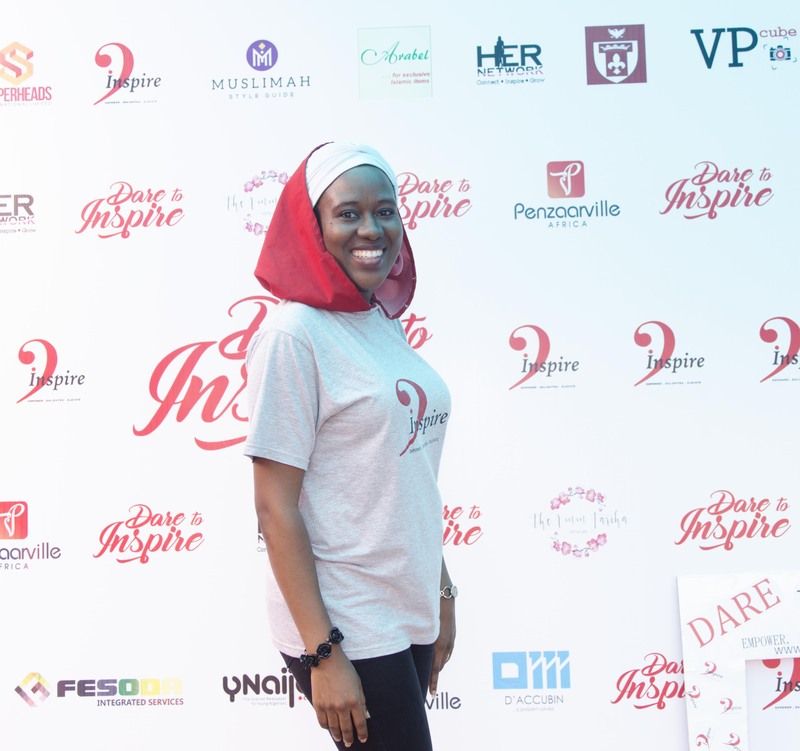 Dare to Inspire 2017 was formally closed by Mrs Bunmi Babalola who thanked all stakeholders and participants for a wonderful outcome. The free event is a platform for enlightening the young women as well as to provide them an opportunity for networking. DTI partnered with YNaija, Penzaarville Africa, Dotts Media House, Laroche Foundation, VPcube Photofactory, Fesoda Integrated Services, The Accubin, Super Heads International, Her Network, ARABEL Exclusive Islamic Materials Ltd, Deen talks Nigeria, Women of Rubies, The Ummfariha Network, Muslimah Style Guide and Bedouin.